For some, fishing is a sport and for others it is a way of lifestyle and is something that has been around as long as mankind itself. The original intent of fishing was as a means to provide food so people could survive. As time has evolved it has turned more into a sport. The formal name for fishing is called angling. It can be broken down into different categories such as that which is used for ent ertainment or sport fishing and then the category for commercial fishing. It is something that has evolved to the point where it is now being considered to be a skilled sport. This is partly because of the technology that is now being incorporated into the sport and it is taking away from fishing as being a sport of chance, where one will land the big catch of the day. Going back in time when it came to the gear that was need for fishing it was very minimal. Basically all it took was something to be used as a rod and a line to which some form of hook could be placed on. Or, simply using a sphere which took patience and skill. One of the biggest challenges that comes with fishing is the first step of knowing where to find the fish and what specific type of fish the fishing enthusiast wants to go after. 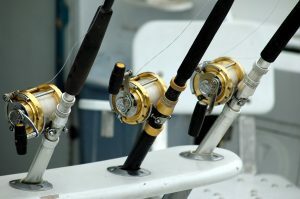 Once individuals develop an interest for fishing they soon learn that there are different type of fishing that they can become involved in and these can include..
With all of these types of categories to choose from it certainly opens up a interesting world when it comes to this particular sport. Each of them demand their own specific techniques and certain type of equipment. For those that don’t want to get that heavily involved then just having some simple fishing gear and finding a creek nearby or a lake that is compatible for fish, can bring the same intrigue and excitement as any of the specialty fishing does. 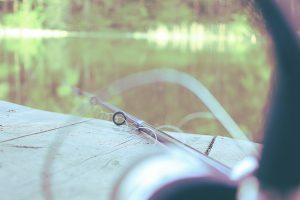 As with any type of sport there are basics that need to be learned When it comes to fishing safety is going to be one of the priorities, as it takes place by various bodies of water. Learning about the different types of fish that may be available to catch is another part of the learning curve. Then once this has been decided upon it will mean knowing what techniques and what bait are going to have to be utilized for success. Fishing on any level is a sport that is full of challenges and one that is enjoyed by all ages.